Here are things you never knew about the Ffestiniog & Welsh Highland Railway. 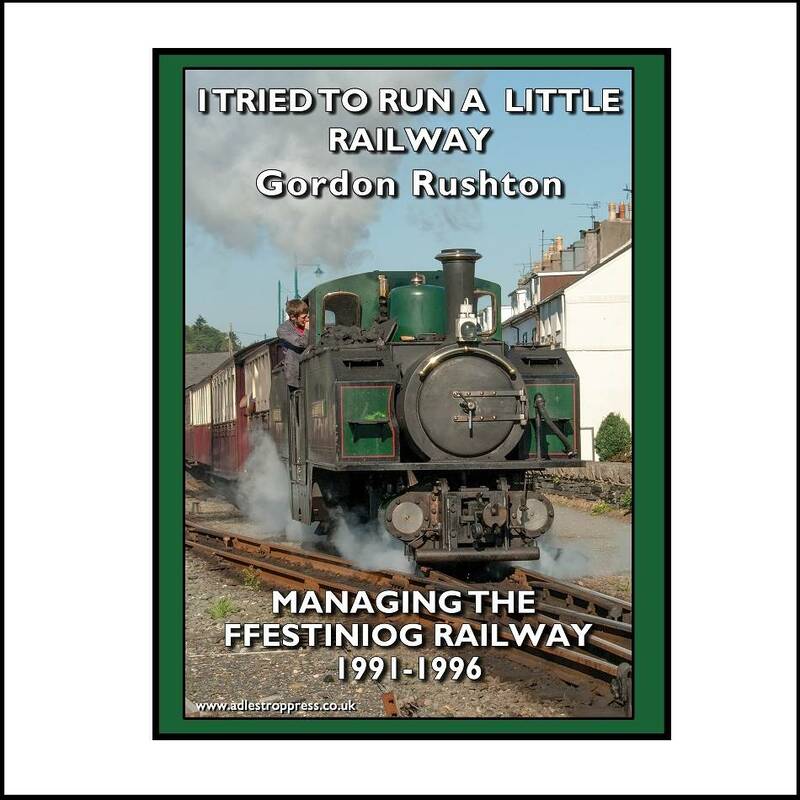 This spirited and intimate account of the running of the Ffestiniog, the origins of the Welsh Highland, the turbulent times of the 1990s, could not be told for 20 years - now you can know the secrets too. Gordon Rushton was the General Manager at a key time and he was the Chairman of the FR Society just beforehand. The Society team raised the membership level above 6000 to maintain influence with the FR Co., to restore flagging fortunes, and to get the Minffordd Hostel built. In 1990 the breaking wave of the WHR controversy then saw Gordon running a defence of the difficult and sensitive FR position and being an active part of the victorious drive to win the fight to rebuild the whole WHR. The massive strains of this time on a Railway that was struggling hard to make a living are interesting reading: the surge from the successful promotion of Parks and Gardens; the return of the importance of volunteers; the huge reward from the large numbers of well-trained youngsters that renewed the whole organisation, are all described, along with the sad 1980s atmosphere that visited staff and volunteers that needed to be swept away in certain areas - and was. This is a tale of real struggle that ultimately led to the author's being invited to quit the GM's post in 1996, but then to return in 2004 to take a principal role in raising millions to complete the WHR through to Porthmadog, rebuild Harbour Station and then to play a key role in the massively successful Diamond Jubilee Appeal. Dangerously frank at times, as well as hilarious, the story is intriguing, controversial and very entertaining. Get going! Only 1000 are being printed.